Miss Hughes joined Caernarfonshire County Council as a Social Worker in the Children’s Department in September 1958. She was Children’s Officer in Anglesey from 1966-1969, returning to Caernarfonshire as Children’s Officer until 1974 when she was appointed Principal Assistant Director in the new Social Services Department following Local Government Reorganisation. Miss Hughes subsequently held the posts of Deputy Director and Director of Social Services. Miss Hughes was a member of the Citizens Advice Bureau for 20 years, and nowadays she is a National Trust steward at Penrhyn Castle and also works for her church. She enjoys attending music concerts, and is also an art lover. 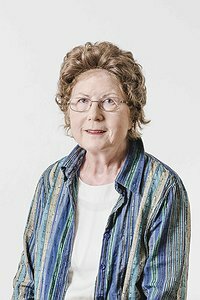 She has been a member of Bangor & District Soroptimists for over 40 years. Within CAIS, Miss Hughes is particularly committed to supporting training and high standards of professional service. She is also especially interested in CAIS’s approach to its service users, and proud that respect, collaboration and partnership have become CAIS values and that the Board, management, staff and service users are working on these together.